Trendline Systems Ltd is Hull & East Yorkshire’s leading resurfacing and paving contractor. We undertake jobs of all sizes for both domestic and commercial customers, from pothole repairs to full scale road construction and all types of private driveways, paths & patios. 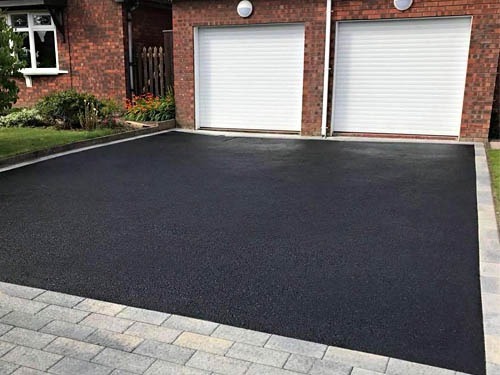 We specialise in all types of tarmac surfacing and repairs, including commercial and domestic work such as tarmac driveways, reinstatement work, potholes and patching. 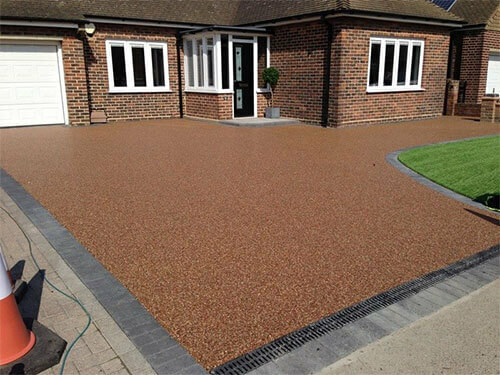 We are an established & leading resin bound surfacing company and undertake all types of resin bound installations from paths & patios to driveways and car parks. 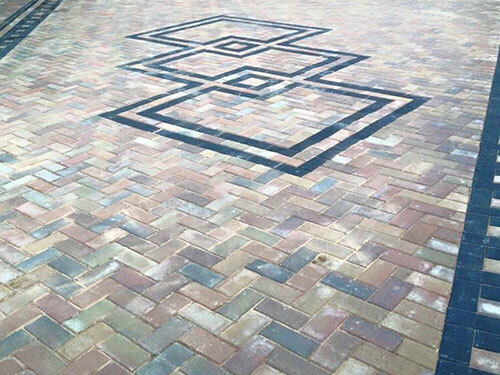 We are a leading block paving and driveway contractor. Services include tegula type block paving, cobble style driveways, concrete paving/slabbing and natural/indian stone paving. At Trendline Systems Ltd we take great pride in our surface dressing applications and offer our services to all types of customers including industrial, commercial and domestic. Trendline Systems Ltd are a family run company with a fast growing reputation throughout the UK in the groundwork and surfacing industry. We undertake jobs of all sizes for both domestic and commercial customers. We have completed jobs for many well known nationwide companies including B&Q, Home Bargains and Flamingo Land Resort. 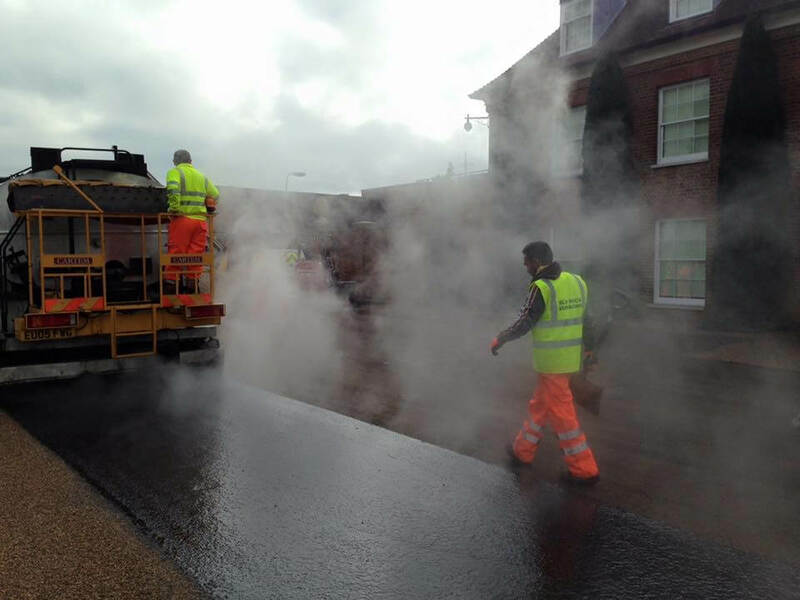 The jobs we undertake include resin bound stone surfacing, hot tar & chippings, machine & hand lay tarmac, hot rolled asphalts, stone mastic asphalt (SMA) tarmac, tarmac repairs & pot holes and surface dressing i.e. hot tar spraying & chippings. We have also completed hundreds of jobs for domestic customers across the UK including tarmac driveways, block paving, natural stone paving, patios and paths. All of our work is insured and comes fully guaranteed. We hold accounts with most of the major suppliers in the UK to ensure that our customers receive the best value and quality. We are happy to offer free, no obligation, written quotes and advice so please do not hesitate to get in touch whatever your project may be. Ron Shaw and his team of pavers did an excellent job replacing my driveway in 3 days flat. This included grubbing up and removing the old pavers and making a good base, laying a membrane, and improving drainage. They worked to a high standard and I thoroughly recommend them. Here at Trendline Systems Ltd, we undertake surfacing work in Yorkshire, Lincolnshire, Lancashire, Derbyshire & Nottinghamshire. We operate in the following towns in the Hull Yorkshire and Lincolnshire area: Goole, Selby, York, Driffield, Scarborough, Bridlington, Beverley, Malton, Pickering, Doncaster, Harrogate, Wetherby, Scunthorpe, Lincoln, Brough, Leeds, Sheffield, Barton, Ferriby and many more. If you would like to check if we work in your area, please contact us to ask.